In this autobiographic book he wrote about “The World of Yesterday”, about the day-to-day life and the culture of Europe, about the xenophobia he encountered, about values and morality of past times. 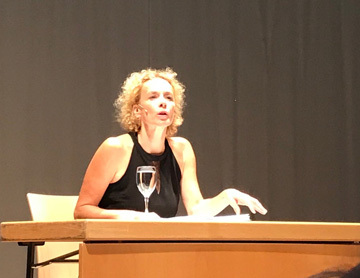 The reading of Katja Riemann wowed the audience. a wonderful occasion to think about Europe – the Europe of yesterday, our Europe today and the Europe of tomorrow.